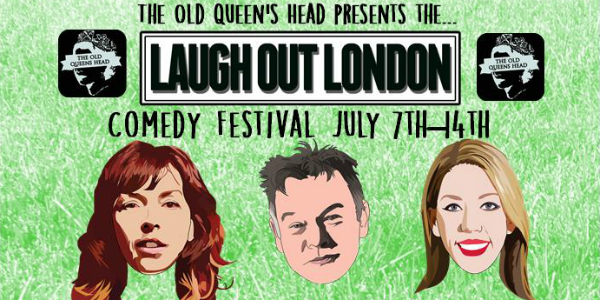 Laugh Out London in partnership with The Old Queens Head in Islington is delighted to announce The Laugh Out London Comedy Festival. Over seven nights Laugh Out London (ranked 3rd best comedy club in the whole of London by Time Out) will host some of the best live comedy in London from award-winning stand ups, sketch stars, TV favourites and rising stars of the comedy word as they prepare shows for the Edinburgh Festival Fringe. Each night is a double-bill of top comic talent at a very reasonable price culminating in a very special live record of our favourite podcast Pappy’s Flatshare Slamdown. 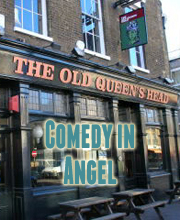 All shows take place upstairs at The Old Queen’s Head, 44 Essex Road, a ten minute walk from Angel tube station. Stewart return to Laugh Out London to workshop material towards the 4 series of Stewart Lee’s Comedy Vehicle. Winner of the Edinburgh Comedy Award 2013 Best Show and the South Bank Sky Arts Award 2014, Bridget brings her new Show “A Book For Her” to the Old Queens Head. She is one of the best stand ups in the country.